Cap Maroquinerie has been open since 1997. 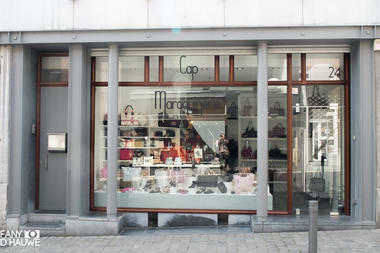 Cap Maroquinerie has stuck with the original choices it made in respect of the main brands it stocks, but is always on the look-out for high-quality products, mainly as regards products made in Europe. At your service from Monday to Saturday: Sylvie, Anne, Isabelle and Fany. Cap Maroquinerie provides the best advice available as regards products and provides professional after-sales service: upkeep, repairs, adjusting sizes, etc. For instance the adjustment of boots to fit your calf muscles, upkeep of the leather your handbags are made from using original cream to maintain the colours of it, etc. Repairs are covered by the guarantees provided by our suppliers. The brands you can buy in the shop are as follows. 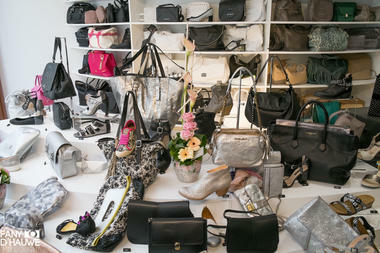 HANDBAGS: Longchamp, Jérôme Dreyfuss, Vic Matie, Lilu, Catherine Parra, Caterina Lucchi, Il Bisonte, Liebeskind, Campomaggi, Numéro 10, etc. SHOES: Candice Cooper, Babe, Officine Créative, Fiorentini + Baker, Janet & Janet, Free Lance, Esska, Lodi, Gozzi 181, Benoite C, Lola Cruz, Ash, Mexicana, Birkenstock, etc. ACCESSORIES: Il Bisonte, Longchamp, Campomaggi, Henri Hénin, Liebeskind, etc.